Today, Queen Elizabeth II today celebrated her 86th birthday together with her husband Prince Philip in a ceremony honoring her birthday. In the “Trooping the Color” event, the royal couple rode in a vintage horse-drawn carriage for the parade in central London. Thousands of people watched the military spectacle complimented with parade of horses, soldiers and musicians. “Trooping the Color” is an annual ceremony marking the queen’s official birthday, which takes place in June. At DC, US Secretary of State Hillary Rodham Clinton send her best wishes to the people of the United Kingdom of Great Britain and Northern Ireland as they celebrate Queen Elizabeth II’s official birthday. Ms. Clinton notes that the United States has long viewed the Queen and her service to her nation with the deepest respect. Both nations have a special history of friendship and close cooperation based on shared democratic values and respect for the rule of law, she added. Ms. Clinton says she is looking forward to the London Olympics where the international spotlight will shine on the country’s culture, commitment to democratic principles and human rights. Both nations are united in the pursuit of a more just and democratic future and these Olympics will give them the chance to once again come together in celebration of these values. 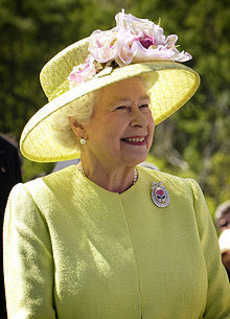 Elizabeth was born in London. She was educated privately at home. Her father acceded to the throne as George VI in 1936. In 1947, she married Prince Philip, Duke of Edinburgh, with whom she has four children: Charles, Anne, Andrew, and Edward. Her coronation service took place in 1953. On April this year, the United States of America announced the entry into force of the Defense Trade Cooperation Treaty between the United States and the United Kingdom. The treaty was signed in 2007 and ratified in 2010. It aims to ease the export of defense articles between the two countries by reducing the need for export licenses and other International Traffic in Arms Regulations (ITAR) approvals for certain items. The Treaty will help American and British troops get the best technology in the fastest way possible so they can continue to defend US interests and protect US national security around the world, Ms. Clinton noted. UK is already one of the United States’ most significant defense trading partners. Through the creation of an approved community of users, it is now faster and easier for U.S. and UK industry to develop and field future technologies that support U.S. and British government interests, she highlighted. The treaty will further strengthen our relationship as we work together to build a safer, more secure world, she said. On June 21 2007, the United States and the United Kingdom have signed a treaty to remove bureaucratic barriers and export license requirements between the defense industries of the two allies.